I haven't been to New London. Really, it's just a place that you go through. It's a convenient halfway point between New York and Boston and it had some kind of industry (submarines?) there back in the day. Like most of Connecticut, it's languished thanks to outsourcing. 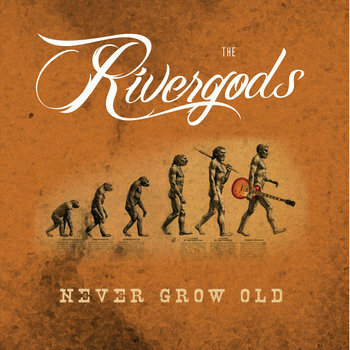 I didn't think it had much going for it (and I even dated someone who lived in its suburbs) until I encountered The Rivergods. The band, led by husband/wife duo Ben and Nancy Parent, has been around the block a few times. Their catalog stretches back to 1997 and we'll all have to investigate it. That being said, their most recent 4-song EP packs a punch. This is the alt-country of the '90s: sun-faded, nostalgic, wistful, and a little sad. My favorite is "Rush Hour," but don't take my word for it. Choose for yourself.